Detailers: Coming up from the original Beautyblender... a potential HG? I am beyond thrilled to hear that the Beautyblender's crafter, Rea Ann Silva, is launching a set of makeup brushes known as "Detailers". In my review of the Original Beautyblender Pro (here), I said it had replaced every single face makeup brush/sponge/applicator I've tried/owned and concluded by wishing they would come out with eye brushes, too. Did they read that post and oblige with the Detailers brushes, or am I flattering myself? Needless to say, I'm waiting to get a set as soon as the Beauty Blender brushes are launched as they promise professional results. I especially adore the cute mini-blender charm on the Plush Brush and want to try Soft Touch and Chisel. 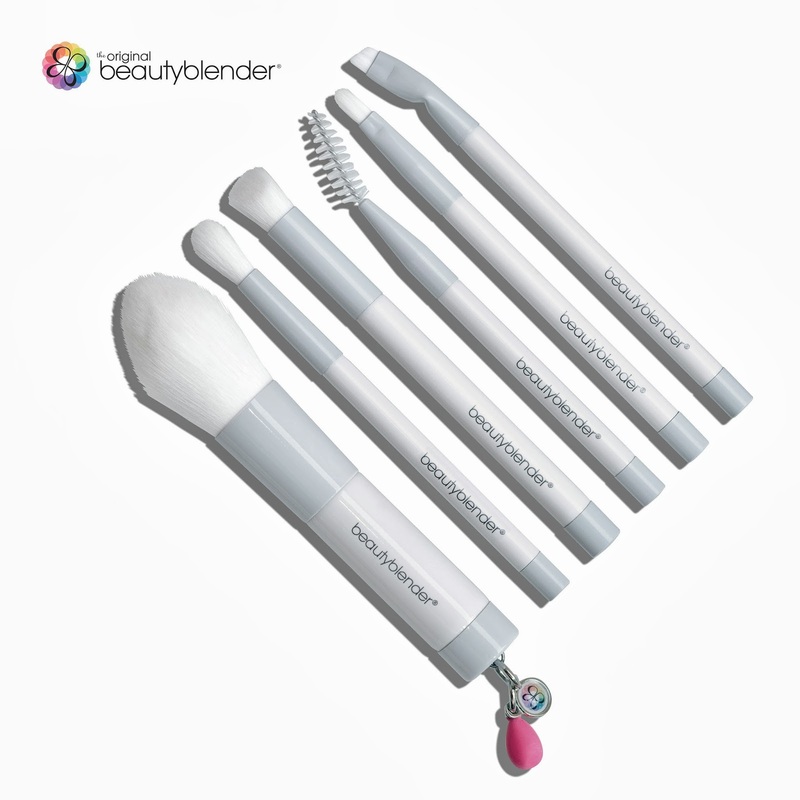 What are the Beautyblender Detailers brushes? they’re designed to be easily cleanable with the Beautyblender Solid Cleanser. Ann Silva, Beautyblender’s creator. 'Fool-proof and easy!'" It is, for me, the most awaited beauty product launch ever. I think, like the Blender itself, these will knock off all other brushes into oblivion. Really (pun intended)! All pictures and italicised information are sourced exclusively from the Beautyblender's people themselves, reproduced verbatim with personal permission. I do not know if the images are of prototypes or of the final product, including colour options. I love how minimalistic they look; no fancy colours, glitter or shine. Less talk and more action, I say. The Detailers by Beautyblender brushes will be out in December, so I know what I'm asking for Christmas. Are you as excited about this set as I am?